How to Apply for AP EdCET 2019, Submit Online Application form till April 24: The AP State Council of Higher Education (APSCHE) has started the application process for the Bachelor of education Common Entrance Test 2019 (Ed.CET-2019). The online application process will begin from March 14, and the candidates can apply online till April 24, 2019. The entrance examination will be conducted on May 06, 2019. The paper will be of 90 minutes and the questions will be of both English and Telugu medium. 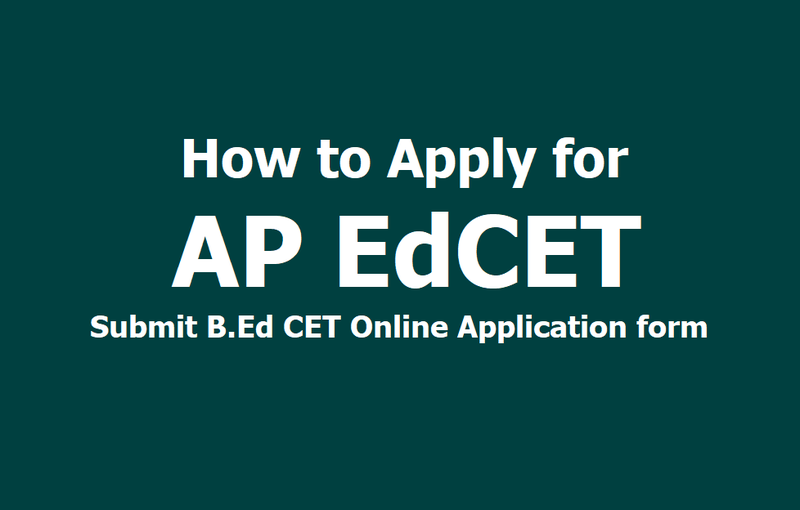 Candidates satisfying the following requirements shall be eligible to appear for AP Ed.CET 2019. (b) Candidates should have secured a minimum of 50% marks either in the Bachelors Degree i.e. B.A./B.Sc./B.Sc. (Home Science)/B.Com./B.C.A./B.B.M and or in the Masters Degree in relevant subject or 5 years integrated course in the relevant subject of methodology or any other qualification equivalent thereto. The general category candidates have to pay an application fee of Rs 600, while Rs 400 for reserve category candidates belong to SC/ ST.